Destination: Amsterdam by Crack Magazine is such a good documentary about Amsterdam’s nightlife, clubbing scene and techno music culture. In about 20 minutes the documentary shows the most interesting aspects of Amsterdam underground dance music scene. Destination: Amsterdam resumes what is the best to find across the city nowadays if you are keen on party, festival and underground electronic music. The video features emblematic clubs of the past that participated to the evolution of Amsterdam musical landscape like Trouw or Studio 80 and new venues popping up thanks to relaxed laws that will write Amsterdam present and future party scene history such as Closure Club or De School. The documentary also presents the two main events that embrace the city every year: Amsterdam Dance Event Festival and Dekmantel and shows some insight about Red Light Radio, Volkshotel‘s music studios and rooftop and Rush Hour records – those are to remind! 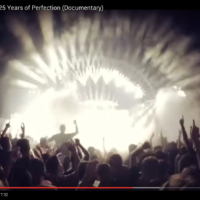 We particularly enjoyed this short documentary as we visited Amsterdam twice already during the well know ADE festival in 2014 and 2015. In 2014 we travelled to the city with the idea of launching TechnoBabes project. It was so good fun! Destination: Amsterdam will bring you back many memories if you’ve already been there or will convince you to quickly plan a TechnoTour to Amsterdam if you never been yet.